How do Calculation fields work? Creating powerful expressions in the calculation field. 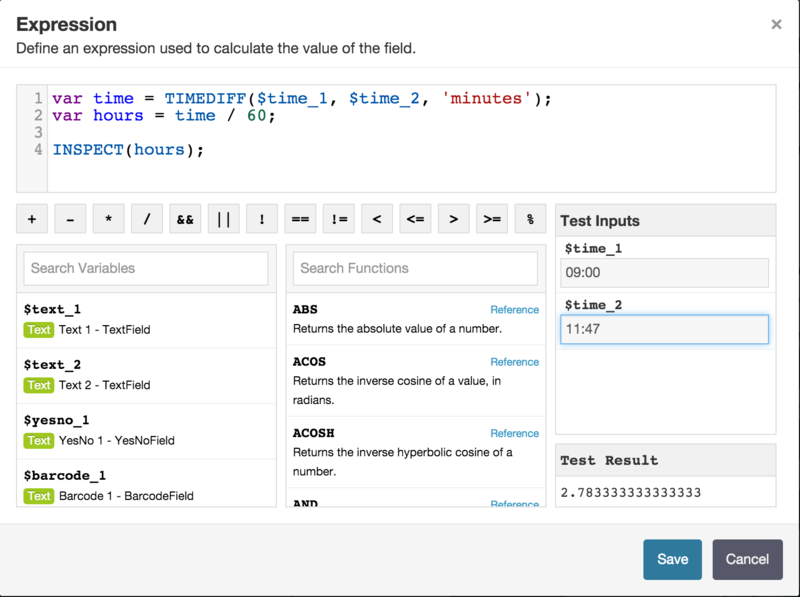 Calculation fields can be used to write simple expressions to calculate values dynamically based on inputs given to other fields in your forms. This can be simple ‘total’ calculations or complex equations referencing other calculation fields and even data contained in repeatable sections. 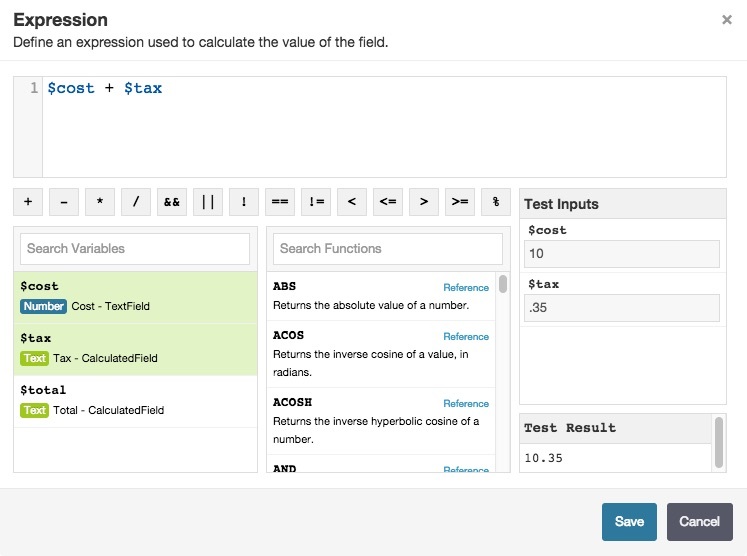 As seen in the example video below, when you build an expression using a calculated field, you have access to all of your form field values from within the expression builder tool for driving calculations. There’s an extensive library of searchable functions, most of which you’ll recognize if you’re familiar with building formulas in spreadsheets like Excel or Google Sheets. Also included are several functions that are Fulcrum data-specific, giving you the ability to include in your calculations your record’s status, latitude or longitude, and more. You can view our currently available functions on our developer pages. You must select a format for displaying the expression result. Text - Use this for displaying text or unknown values. Number - Use this only for displaying numeric values. Date - Use this for displaying formatted date values. The value should be in the following format: YYYY-MM-DD. Currency - Use this for displaying formatted currency values. The value should be a number and you'll need to select a specific currency. 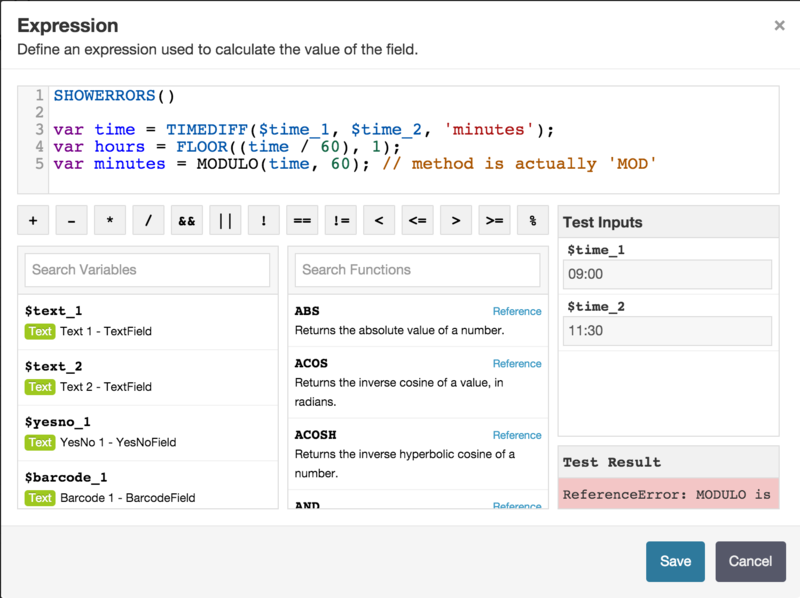 Add a calculation field to your form. 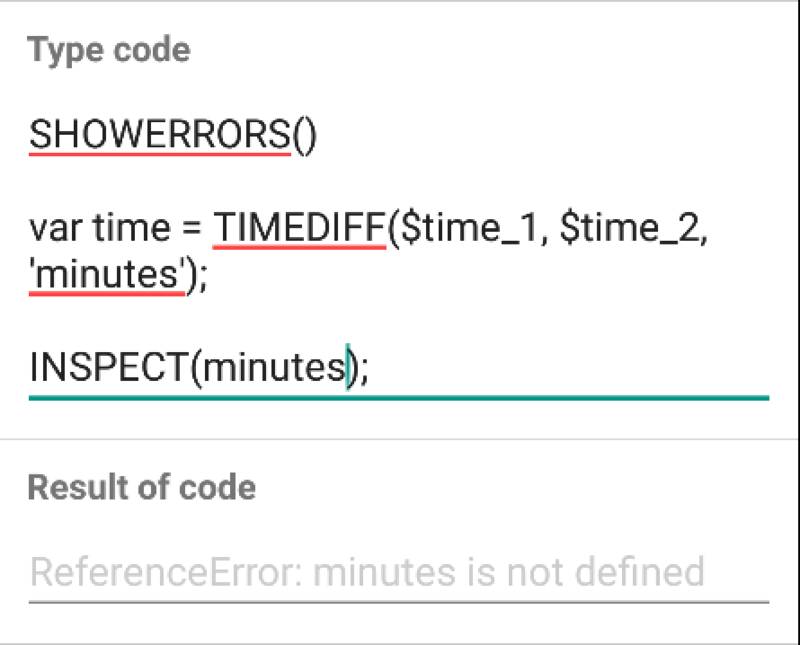 Set the expression for this field toeval($code_field_data_name). Sync your mobile device, and now you can type code into the text field. You’ll see the result work in the eval field!